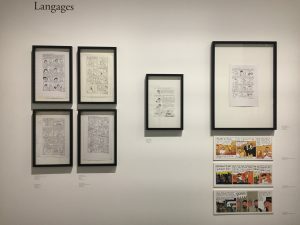 Riad Sattouf – creator of, amongst others, The Secret Life of Youths (La Vie secrète des jeunes), Esther’s Notebooks (Les Cahiers d’Esther) and The Arab of the Future (L’Arabe du futur) – is the fourth comic artist after Art Spiegelman, Claire Bretécher and Franquin to whom an exhibition is dedicated at the Bibliothèque Publique d’Information of the Centre Pompidou. 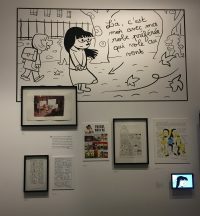 Including original and unpublished boards, sketches, photos and audiovisual documents, the exhibition highlights the evolution of Sattouf’s graphic and narrative work and embraces both his sharp and tender approaches on adolescence. 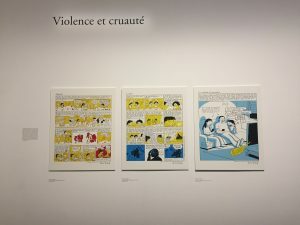 Sattouf’s work – divided into three parts – shows his ‘commitment’ to envisioning the world through a sociological perspective. His stories usually have an autobiographical dimension and bring forward the adventures of young people and their ‘secret lives’. Devoted to documenting the world through a truly ‘sociological’ lens, his prolific work testifies the work of everyday heroes. Infused by Sattouf’s curiosity for reality, his characters go about their daily lives without any trace of some special power or a mythical beauty. Developing the personalities of his heroes, Sattouf observes adolescence in depth and, like a sociologist, he describes a multifaceted youth which dialogues with society and its structures. 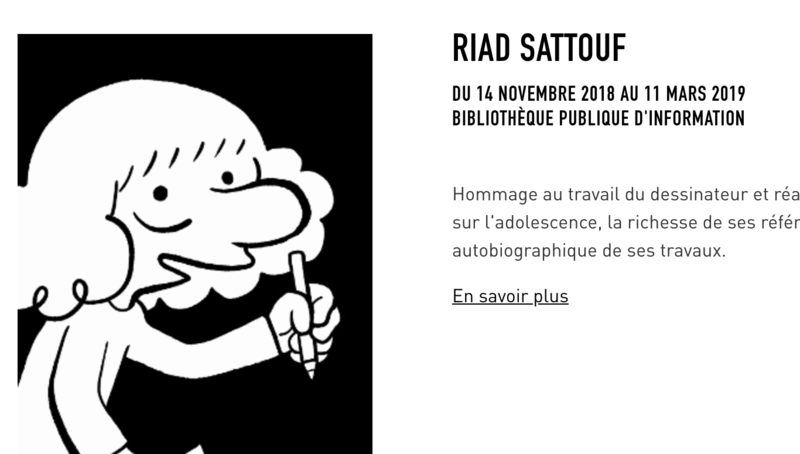 Through his stories, Riad Sattouf underlines important issues faced by adolescents, pointing out diverse identities and social problems. 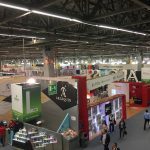 Among them, the relationship between boys and girls, love and sexuality and the complex relationship to the adult world. In Esther’s Notebooks – a collection of stories inspired by the daily life and quirks of the teenage years of ‘a real Esther’ – the heroine observes the world and questions every matter concerning young people, such as the use of language in different social interactions. Inspired by Tintin and European and Japanese comic artists of the 90s, Riad Sattouf puts forward all his technical mastery, choosing minimal colours and linear drawing. In order to accurately depict reality, the artist integrates an autobiographical narrative into his work, an approach similar to the one of Jean Christophe Menu in Livret de phamille. He creates realistic characters and his art powerfully depicts stories focused on society and adolescence. Sometimes, though, Riad Sattouf ‘escapes’ from this narrative and highlights his passion for science fiction. Diverging completely from Esther’s Notebooks and The Arab of the future, Sattouf peppers his work with sci-fi influences, themes like the loss of childhood innocence, and virile, masculine and violent figures, who remind us of heroes like Terminator and Mad Max. 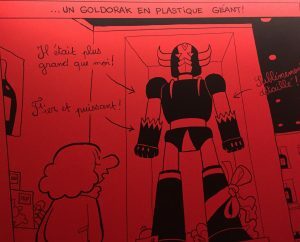 The hero who embodies all these contradictions is Pascal Brutal, who goes from pathetic to comical, from straight to gay, from rebel to conformist and can do anything since ‘he is as heroic as he is ridiculous’. The last part of the exhibition focuses on the artist’s remarkable graphic autobiography: The Arab of the future. 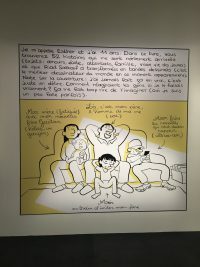 Riad Sattouf accepted the challenge to narrate and draw his ‘happy childhood’. With contrasting colour schemes and a symbolic colour code, he presents two different worlds: France and the Middle East through an autobiographical childhood narrative. Overcoming the literary and graphic challenge, Sattouf collects mementos of his past, letting his own memories set the scene. 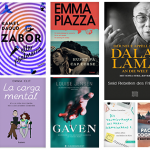 In order to help the reader to mentally penetrate his universe, he chooses memories – even violent ones – based on their symbolic significance, focusing in particular on the concept of authority, which is eve-present in his work. Blending imagination and memory, the artist presents the naïve point of view of the child, Riad, in a tragicomic way. 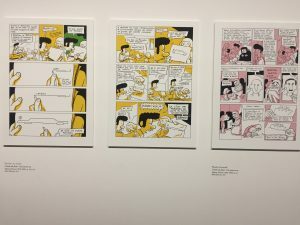 The two worlds that the child struggles to reconcile with are emphasised throughout the graphic novel, which is filled with climaxes and elements of surprise. 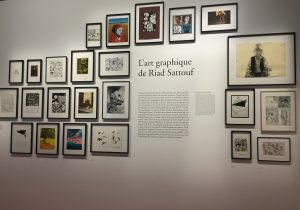 However, Riad Sattouf manages to ‘reconcile two cultures and languages through the power of drawing’ – and makes us even think about our own prejudices! 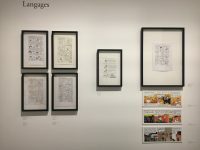 “L’écriture dessinée”: November 14, 2018 – March 11, 2019 at the BPI – Centre Pompidou in Paris.